A couple days ago, Detroit Tigers GM Al Avila announced that the Tigers’ era of free wheeling and big spending is (likely) over. Gone are the days of monster free agent contracts like those doled out to Prince Fielder, Justin Upton, Jordan Zimmermann, and Victor Martinez. Also (probably) gone are the huge contract extensions to stars like Miguel Cabrera, Justin Verlander, Anibal Sanchez, and Victor Martinez. 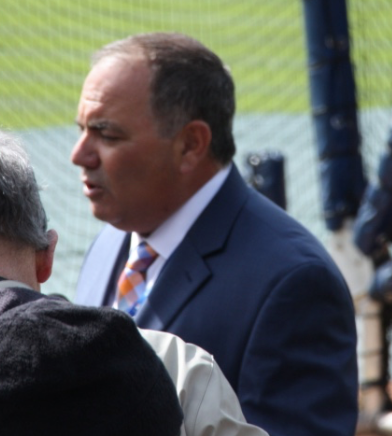 Avila’s comments, in fact, seem to suggest the Tigers will look to trim some of the fat while attempting to remain competitive, but it won’t be easy. It could even become painful. The Tigers might part with several familiar, well-loved faces in their efforts to cut back and operate within the means of the organization (whatever that means). What does this all mean for the Tigers heading into the 2016 offseason and looking ahead to 2017? What it all (probably) means, in handy bullet point form! • Most importantly, it means J.D. Martinez won’t be extended after 2017. In fact, J.D. could even be traded over the winter. • It means Ian Kinsler could find himself on the move as well. Kinsler’s one of a handful of players who could still command a decent return on the trade market. • It means potentially parting with young and/or popular players like José Iglesias and Nick Castellanos. • It means possibly declining the options of players like Cameron Maybin and Francisco Rodriguez—or picking up the options in order to trade them—and filling those holes from within with the likes of Anthony Gose and [shrug emoji]. • It means the Tigers aren’t going to go after any “big name” free agents this year, and probably not for a while. For most of us who follow the Tigers, the talk of rebuilding or retooling wasn’t entirely unexpected. It seems perhaps one year early to this blogger, but it was going to have to happen at some point. And look on the plus side, the Tigers can get more now for someone like J.D., who will be a free agent after 2017, than they could at the 2017 deadline! This team could look drastically different in 2017—or in just a matter of a few weeks! Or they could do nothing at all and roll out roughly the same team next season. Ilitch could override everyone and swoop down from Mount Olympus to decree that the Tigers will not be rebuilding. Who really knows. The one thing the Tigers will absolutely not do, no matter how deep into the rebuilding process they get, is trade Justin Verlander or Miguel Cabrera unless those two specifically ask to be traded. They’re the cornerstones of the franchise, the types who get cushy honorary job titles after retirement. They’re Tiger lifers so be sure to take those “the Tigers could get a haul for JV and Miggy!” twitter trade proposals with the proper amount of salt. Great… even though heartbreaking… story!! I love your take on this!